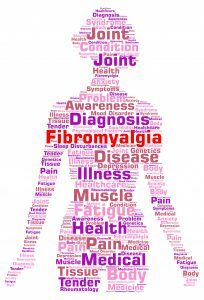 ABSTRACT – BACKGROUND: Fibromyalgia is a chronic pain syndrome, characterized by chronic musculoskeletal pain, fatigue, and mood disturbances. There are nearly no data on the effect of medical cannabis (MC) treatment on patients with fibromyalgia. METHODS: Data were obtained from the registries of 2 hospitals in Israel (Laniado Hospital and Nazareth Hospital) on patients with a diagnosis of fibromyalgia who were treated with MC. After obtaining patient consent, demographic, clinical, and laboratory parameters were documented. All the patients also completed the Revised Fibromyalgia Impact Questionnaire regarding the period before and after MC treatment. RESULTS: Thirty patients were identified, and 26 patients were included in the study. There were 19 female patients (73%), and the mean age of the study group was 37.8 ± 7.6 years. The mean dosage of MC was 26 ± 8.3 g per month, and the mean duration of MC use was 10.4 ± 11.3 months. After commencing MC treatment, all the patients reported a significant improvement in every parameter on the questionnaire, and 13 patients (50%) stopped taking any other medications for fibromyalgia. Eight patients (30%) experienced very mild adverse effects. CONCLUSIONS: Medical cannabis treatment had a significant favorable effect on patients with fibromyalgia, with few adverse effects.